To those whom much is given, much is required. It is the motto that drives John Edward “Ed” Hamel ’61 in his business and philanthropic endeavors and is the foundation of his selection as the 2016 College of Engineering and Physical Sciences (CEPS) Distinguished Alumni Award recipient. The CEPS Alumni Society gives the award annually in recognition of outstanding contributions to society with an emphasis placed on enhancing the image of UNH. Ed’s record of accomplishments and philanthropy spans multiple genres. He built a successful construction firm operating in the Middle Atlantic region. Founded in 1988, The Hamel Group has built or rehabilitated 30,456 apartment units, completed projects totaling more than $2 billion and currently employs 150 people. Ed has provided financial support to students seeking higher education at multiple institutions, including UNH. Ed says he is proud of his record as a business owner and equally proud of supporting scholarships in higher education. “It is a tremendous honor to be recognized as a distinguished alum from UNH,” he says. Ed received his degree in civil engineering after serving a two-year commitment with the U.S. Army’s 82nd Airborne. A beneficiary of the GI Bill and the first person in his family to graduate from college, he established scholarships at UNH and Howard Community College in Maryland. The UNH scholarship provides funding for two students annually. Lynne Gaudet accepted the CEPS Distinguished Alum Award from CEPS Alumni Society President Scott Almeda (left) on behalf of her father, John Edward Hamel, who was unable to attend the ceremony. Mike McCarthy, director of development for CEPS, says Ed’s passion for supporting students makes him deserving of the honor. “The investment Ed has made at UNH has and will continue to have a tremendous impact on the students his scholarship supports,” he says. After graduating from UNH, Ed moved to Maryland and began his career in the construction industry. 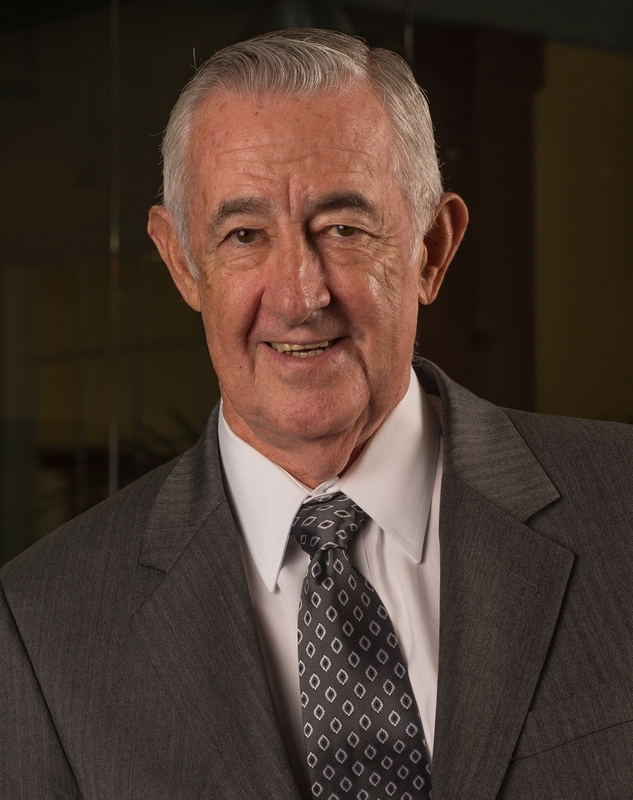 He rose through the ranks to become president of Harkins Commercial, Inc., until starting his own company in 1988. The Hamel Group now operates in Maryland, Virginia, Delaware and Washington, D.C.
Ed and his wife Fern are actively involved in their community and have been for years. They were honored with the James Clark Medal in 2016 for their support of Howard Community College. In 2014, they were named the Howard County Philanthropist of the Year for their longtime support of multiple organizations and initiatives. Ed has also played, managed and sponsored youth and adult softball teams for decades, resulting in his induction into the National Senior Softball Hall of Fame in 2009, the Washington Metro Hall of Fame in 2011 and the Maryland Slow Pitch Hall of Fame in 2014. On October 21, Ed’s daughter Lynne Gaudet accepted the award on behalf of her father, who was unable to attend the CEPS scholarship ceremony. During the event, the college awarded 316 scholarships totaling more than $680,000.